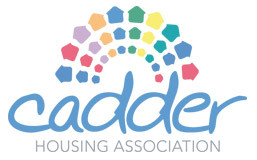 The Cadder Customer Services Working group was established as part of the requirements by the Scottish Housing Regulator to scrutinise the work and services of the Association. Currently the group has 3 members who meet up to 4 times a year to look at the various service areas within the Association and to scrutinise the performance in the chosen areas. Each meeting looks at a different area. If you would be interested in joining the Customer Services Working Group, please contact Sandra McPhee, Corporate Services Officer on 0141 945 6708 or John McShane, Customer Services Manager on 0141 945 6702 for further information.